These expansion joints are characterized by a high convolution profile and thick ply construction. 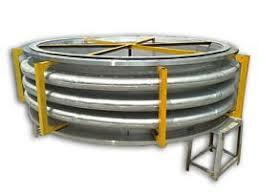 These expansion joints are available in one or more covolutions in a wide range of dimensions and materials. Thick wall expansion joints are used in large power plants, gas and oil and chemistry industries where the long life-cycle of the expansion joint is very important.